Curb appeal is super important when it comes to assessing the quality of a property. That is why it is vital to ensure that the front yard and the landscape is always looking amazing. So how do you maximise the curb appeal through your landscape? We have four tips that can deliver the perfect results for you! What really works for any landscape design and plan is to ensure that the landscape is organised. People don’t like to see a wild, unplanned landscape because it doesn’t create any atmosphere. You need to organise so from the street outside your home it will look amazing. The best way to do this is to take a step back and see your landscape from your street; it will give you a clear perspective on what you need to work on and change, so that it looks amazing in the future. You can distinctly tell when a garden has not been looked after or if there has been no maintenance at all. The landscape looks dead, the flowers look worn out and the lawn is dry or too wet to function. 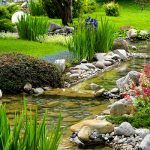 The trick here is to keep your landscape and garden looking as healthy as you can. That means maintaining it with a routine schedule and a focused desire to ensure it remains at its best when you can. Keeping your landscape healthy with means that you will be able to maximise your curb appeal! There is nothing worse than a blurred landscape where the lawn blends with the garden bed and it flows negatively. To really make a landscape stand out, you have to make it flow with a style and substance. You have to make sure it has a ‘story’ to it. This way, it will go a long way to ensuring that you are able to make it stand out from the rest of the neighbourhood. Nothing quite helps a landscape than giving it layers. It creates a proper hierarchy of your flowers and fauna, so that you will be able to establish a proper footing and outline for your landscape. By keeping it layered, you will be able to create a very focused and established landscape that works with your curb appeal. 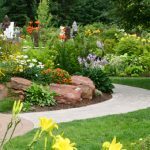 These four tips will be able to help you establish your landscape to give it the maximum curb appeal. Where did we get these tips from? We spoke to our local landscape construction services in Melbourne in Landscape Shape & Form. They are the leading team that will be able to help you with all your landscape creations and designs – and even mini bobcat hire. They sponsored this blog, so if you would like more information, reach out and contact them today.